I recently de-mothballed this Dac after having it in storage the past 10 years when I discovered I had several HDCDs on the shelf. Lately I’ve been downloading hi rez files and ripping them to cd. 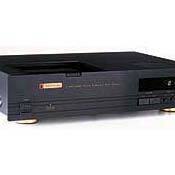 Most are 24/96 Mobile Fidelity tracks being played on a Classe CDP 202. I was curious about the difference in resolution between the Classe’s 24/192khz dacs versus the Parasound’s 20/48khz dacs. Fortunately I had a Cardas AES/EBU cable laying around and was able to run directly out of the Classe digital output. This made direct comparison very easy. Now the Parasound will down sample the 24/96 tracks and there was no comparison. The Classe won hands down across the board. Interestingly though, on 16/48khz redbook cd, I found the Parasound to be more musical, have better tonal balance a wider and deeper soundstage with clearly defined image placement. This was surprising considering the Classe is a 6500.00 machine. I also found that HDCD playback was nearly equal to any hi rez files I downloaded in terms of resolution and micro details. This comparison was a little more subjective since I could not simply change the input on the preamp using the same disk. All in all for a 20 year old Dac it still fared well against the latest technology and I actually prefer its sound over the Classe’s dacs on redbook cd. Although the selection of music isn’t expansive on the HDCD format, it’s still a force to be reckoned with as far as high quality digital playback. I’m glad I rediscovered this little gem of a Dac. Outdated as far as latest available music fornatts. Nothing sonically when used with redbook and HDCD. Ce DAC est tout simplement pour son prix une tuerie sans nom, sûrement du au fameux D20400, médium très net, bonne transparence, à le sens de la rythmique, facile à intégrer, ne chauffe pas, accepte AES/EBU, ST, SpDif, avec sortie asymétrique et symétrique, je le trouve moins morne qu’un audiosynthesis. Le grave manque un peu d’articulation, dommage. This DAC is the best known secret in DAC's out there. I have played so many in my system and some costing $3000+ (hint: Audio Note and Acoustic Alchemy) and this DAC kills them. I've also had Music Hall 2.5 and Audio Mirror DAC'S and this KILLS them - hands down. Not even close. I had the 1600HD before and it was very good, certainly comparable to the aforementioned, but when I got this one the others even though more expensive, don't even come close. If you happen upon one, jump on it and thank me later. This is the most under-valued product I have ever owned. Perfect on Hi, Mid and Low. HDCD is very nice especially using Reference Recording CDs. 4 inputs including XLR. 4 Blurr Brown chips really make a different. This is for Parasound DAC 1600. I brought this unit from an online store. As soon as I hook it up, both my wife and myself can hear the differences. It is quiet, perhaps because I am using ST glass connector. The bass is deeper and more solid. The high and mid is clearer. It made my entire Hi-Fi system go even higher. I would say it is the best investment I have ever made. hdcd play back is outstanding, regular cd's are much improved. This is for the D/AC-1600 HD, since I can't seem to find more than one product in this catagory from parasound, I will write it here. This product has allowed me to hear what i've been missing using my Rotel cd player. I just wish the hdcd format had more material. As soon as I hooked it up I heard things as never before and without knowing it my foot started tapping to the music. Also improved the soundstage and image. Extremely detailed. Makes the music breathe. On poor recordings: Unforgiving. Not quite as precise when it comes to reproduction of voices as Primare 30.2. On the other hand more natural reproduction of large scale orchestras. Copland 289, Primare 30.2, Micromega Stage 6, Audiolab 8000 DAX / 8000 CDM, Pioneer 901 (Trichord modification). When I first put the 2000 in my system I listened to a whole cd to the end before I realized that I didnt have my Monitor Audio MAS1 sub turned on! I could not believe what a difference in low end control that this d/a made. I even made my wife have a seat in front of my system (not an easy task) and after she reluctantly listened to a whole song I asked her what she thought of the bass and she said that it was very good. Even she was impressed (not an easy task either!). Then I told her that the sub was off she didnt belive me she had to go touch it to make sure that I wasnt lying! Unfortunately, Parasound no longer makes this product. But for you fellow audiophiles you will be able to get one for around $1000.00 to $1500.00 not the $1995.00 list. I got mine for $1350.00 new. I think that I would give up my gun before I would give up my D/A! And I am a Police Officer!Go get yourself one you wont be sorry! Superb implementation of a DAC designed to maximize the sound of 16/44 CDs. Even at original list of $2000 this was an excellent deal - competing with DACs in the $4000 to $6000 range. I directly compared it with a competing $3500 DAC and considered the Parasound a clear winner over it. Biggest strength is the unit's phenomenal transparency and detail. This is not a unit that will appeal to those looking for a very smooth, rolled-off top end. After you get through noticing all of the extra high frequency information on your CDs, then you will eventually notice how solid & well-defined your lows are. String bass is glorious, with each string hanging out there in your living room reverberating. Instruments and voices sound very natural. It moved my system one step closer to sounding like live music. Dynamics are excellent too. Rock guitar, drums, and orchestra all have punch. I've had a number of DACs and CD players in my system. Over the years the most consistent theme was in how they sounded so much alike, sometimes taking days to discern small, subtle differences. But when I hooked up the D/AC-2000, the effect was immediate and wonderful. I picked mine up during the Parasound clearance, as they got out of the DAC market. Paid 50% of list and still got the full factory warranty. best of all MADE in the USA with a 10 year warranty. Tremendous soundstage and 3D imaging. Dont use with cheap cd players. Will reveal the flaws. The Ultra is a hell of a buy at $1500. Get one if you can find one. They are hard to find.